The weather is getting warmer and soon, vineyards in the Northern Hemisphere will be in the midst of “bud break,” when vines begin their annual growing. It’s a beautiful time to visit a vineyard and see a winery in action. Wine tourism is a big industry, and for good reason: the combination of fresh air, gorgeous vistas, top-notch dining, outdoor activities, and educational wine experiences is an unbeatable escape. Visiting wine country can be romantic, or family-friendly, or a weekend full of bachelorette debauchery; consider wine travel a choose-your-own-adventure scenario. Here are a few options, ranging from the newest and most exciting options to tried-and-true classics, for spring and summer wine travel. Take a customizable journey from Oregon to Washington, staying at top boutique hotels and dining at locavore-leaning restaurants, with stops at some of the Northwest’s top wineries. This newly launched wine tour begins either in Portland, Oregon, or Walla Walla, Washington, and includes visits to urban wineries, as well as stops in the rolling hills of the Willamette Valley and the Colombia Gorge. Travel Oregon has more information about the trip. Private tours can be arranged through EverGreen Escapes, a Pacific Northwest tour operator. 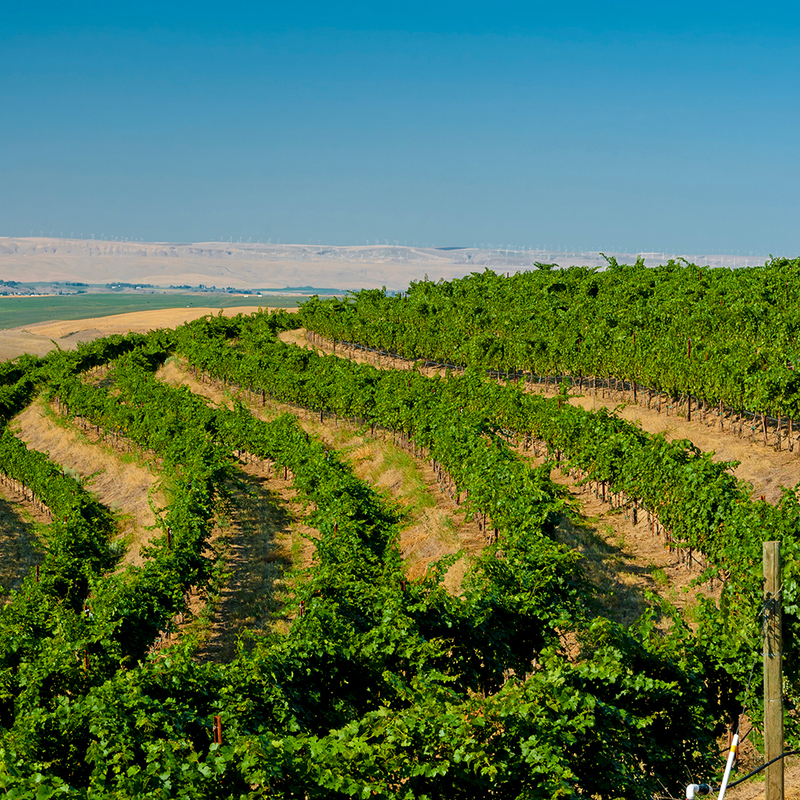 Consider timing your trip to Oregon to coincide with the International Pinot Noir Celebration, which takes place at the end of July in the heart of Oregon’s Willamette Valley, the town of McMinnville, about an hour’s drive from Portland. Now in its 30th year, the IPNC is an unparalleled opportunity to taste some of the Valley’s finest red wines, participate in seminars, take winery tours, and enjoy meals from top Northwest chefs. The IPNC offers three ticket options: the full weekend (Friday-Sunday), just the “Salmon Bake” feast on Saturday evening, and the “Passport to Pinot” on Sunday afternoon. Also, consider attending the Bounty of Yamhill County, a culinary and wine fest in Oregon that takes place in August. For California wine lovers who have tickedNapa and Sonoma off the list, Monterey County is an ideal spot for the next wine adventure. This rural area is like Napa was afew decades back, before its surge in development and popularity, and it has a burgeoning Pinot Noir and Chardonnay scene. Hahn Estate offers an ATV tour through their vineyards in the Santa Lucia highlands, followed by a tasting. Other wineries with tasting rooms in the Santa Lucia Highlands include Paraiso, Puma Road, and Pessagno. Bring a picnic lunch to enjoy in a beautiful spot under the shade. And make sure to stay hydrated in the hot California sun! Or, head to the nearby town of Soledad, where there’s a great Mexican restaurant called El Camaron Mex Grill. Both Restaurant 1833 and Montrio Bistro in Monterey are fantastic and have great wine lists. The city of Carmel has a slew of tasting rooms all concentrated in one area, which makes the tasting experience easy. You may want to opt for their “wine passport” program. There are plenty of options in Carmel for dining. Belize might not seem like the most obvious choice for wine tourism, but if anyone can make it happen there, it’s the Coppola family. At their stylish beachfront resortTurtle Inn, the California wine family recently unveiled a state-of-the art “wine aquarium,” designed by French architect Laurent Deroo and built by Belizean architect Margarito M. Ortiz. The wine aquarium features a wall-to-wall glass-encased wine cellar and holds more than 1200 bottles of award-winning selections from Francis Ford Coppola’s two wineries in Sonoma as well as his Inglenook estate in Napa County. In addition, there are bottles from Chile, Argentina, Italy, France and other U.S. producers. The aquarium offers a one hour wine tasting experience for $50 per person, which includes samples of Coppola wines, along with a cheese platter, in the garden set in front of the aquarium. One of the boot’s most unique spots to visit is also its northernmost winemaking region,Alto Adige. Here, German-Austrian and Italian cultures mingle, offering unique Alpine gastronomic delights and wines in the breathtaking scenery of the Dolomite mountains. Alto Adige is the perfect opportunity to experience world class hiking alongside winery visits and fine dining. The trails along the South Tyrolean Wine Roadare ideal for day hikes or cycling; various tours can be arranged for individuals, couples, and families. If you’re more of a DIY kind of traveler, you won’t have any trouble finding a great hotel to stay in the regional capital, the charming town of Bolzano. Pay a visit to one of the many family run estates that make wines from local varieties like Gewurtztraminer (native to the region), Pinot Grigio, and Lagrein. Elena Walch, the ancient monastery winery Muri-Gries in Bolzano, andHoffstater are great options. Don’t forget a bathing suit for Lake Caldaro, the warmest Alpine lake, as well as the region’s many spas. Recommended: elastic waistbands on your pants. Alto Adige is home to the highest number of Michelin-starred restaurants per capita in Europe—15 restaurants boasting a total of 18 stars, showcasing Alpine and Italian cuisine and rustic farmhouse meal traditions. Bordeaux is an oenophile’s paradise, and a visit there is essential for understanding fine, age-worthy wine, and French culture. In July, take an 8-day luxury with Uniworld, whose ship the River Royale takes 130 passengers along the Garonne, Dorgogne, and Gironde rivers. While enjoying the luxurious accommodations aboard the ship, you’ll have the chance to visit multiple wineries and indulge in delicious meals. Not up for getting your sea legs on? There are many options for experiencing the history and vineyards of Bordeaux. Renowned Master of Wine and writer Jancis Robinson highly recommends having Gourmet Touring organize your winery visits in Bordeaux, whether you prefer customized or pre-planned. They will ensure that you experience a range of small, family-run estates and top Grand Cru classé producers, as well as makers of sweet wines. You can also book a private day-long trip around either the Left or Right banks of the region, including a tasting from one of the First Growth estates.